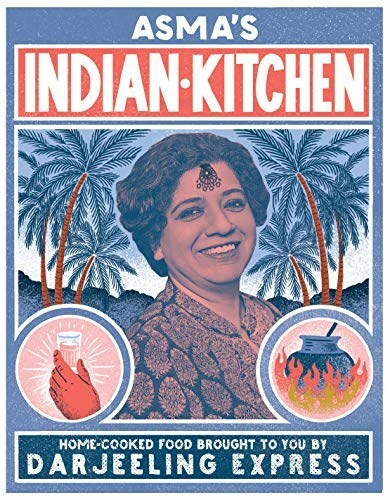 Fall in love with Indian home cooking and Asma Khan in this brilliant book. Feed your soul with Asma Khan's collection of authentic Indian recipes. Asma Khan's stars in Netflix's award-winning series Chef's Table. Award-winning restaurant Darjeeling Express began life as a dinner party with friends; Indian food lovingly cooked from family recipes that go back generations. In this book, Asma reveals the secret to her success, telling her immigrant s story and how food brought her home. The recipes pay homage to her royal Mughlai ancestry and follow the route of the Darjeeling Express train from the busy streets of Bengal, through Calcutta, where she grew up, and along the foothills of the Himalayas to Hyderabad. Platters of dishes boasting texture and intense flavor encourage you to gather for a traditional dawaat (feast). Starting with simple midweekFeasts for Two, Asma then reveals the way to quick and easy cooking with less spice for Family Feasts. There are Feasts for Friends, for when you want to show off a little, and Celebratory Feasts. Many of the recipes are vegetarian, there are sweet treats and drinks, too, and all feature alongside lesser-known recipes and stories unique to Asma s family. This is more than just a collection of delicious and accessible recipes, it is a celebration of heritage, culture, community and quality. This is Asma s Indian Kitchen.